October is winding down as the NHL season progresses into its second month. There have been many surprises in the still-young 2015-2016 season. Here are a few of those surprises, as well as some general observations of interesting statistics regarding team performance and individual performances. It’s difficult to say which team has been the biggest surprise of the season. Some might say that the Montreal Canadiens’ 9-0 start was somewhat of a surprise considering how difficult it is to pull off such a feat in today’s NHL. Though Montreal has finished high in the standings in each of the past three seasons, it’s still impressive to put together such a streak. The Canadiens were one win away from tying an NHL record of a 10-0-0 start held by the 1993-1994 Maple Leafs and the 2006-2007 Sabres. However, the Canadiens’ winning streak came to an end in a 5-1 loss to the Vancouver Canucks on Oct. 27; Montreal lost the following game after the Oilers mounted a come-from-behind 4-3 victory. A strong case could be made for the Columbus Blue Jackets, who got off to a franchise-worst 0-7 start. The team’s early performance resulted in the firing of coach Todd Richards and the hiring of John Tortorella. 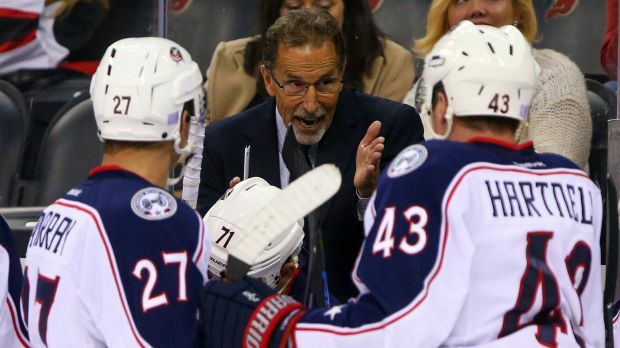 The Blue Jackets have a 2-2 record under Tortorella but still have a long way to go. 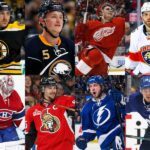 The Jackets were considered one of the top emerging teams in the league, especially in the Eastern Conference, after finishing off last year so strongly despite widespread injuries; plus, Columbus put together a solid offseason, which included the acquisition of two-time Stanley Cup winner Brandon Saad. The team obviously got off to an unexpectedly brutal start this year, but the entire team seems to be playing with more accountability and more sound defense under Torts. On the other hand, one could argue that the Anaheim Ducks have put together the most surprising October campaign, going 1-7-2 for a whopping total of four points, good enough for last place in the Pacific Division, Western Conference and the entire National Hockey League. Anaheim finished last season with the third-best record in the league and mounted a playoff run that ended in game seven of the Conference Final. Possibly even more shocking than the Ducks’ record is how the team has lost. The Ducks have been limited to just 10 goals in 10 games, the lowest amount of goals by any team by 10 goals; there are six teams that have scored 20 goals, including Toronto, Philadelphia, Pittsburgh, Calgary, Los Angeles and Chicago. As far as goals against, Anaheim is in the middle of the pack, allowing 26 goals against through 10 games. Anaheim’s power-play sits at 27th in the league. One of the few bright spots of the season has been the Ducks’ penalty killing, which is the second best in the league. Though calling it a “bright spot” would be going too far, Frederik Andersen has played fairly well this season considering how poorly the team in front of him has fared. He has a 2.05 goals-against average and a .932 save percentage but has been unable to earn a win so far this season (backup Anton Khudobin got Anaheim’s only win this season, a 4-1 win over Minnesota). Another important aspect of the disastrous situation in Anaheim is the fact that Anaheim’s top stars have not found the back of the net. Corey Perry, Ryan Kesler, Jakob Silfverberg and Ryan Getzlaf are all scoreless heading into November. Before blaming the players, there are a few things to keep in mind. 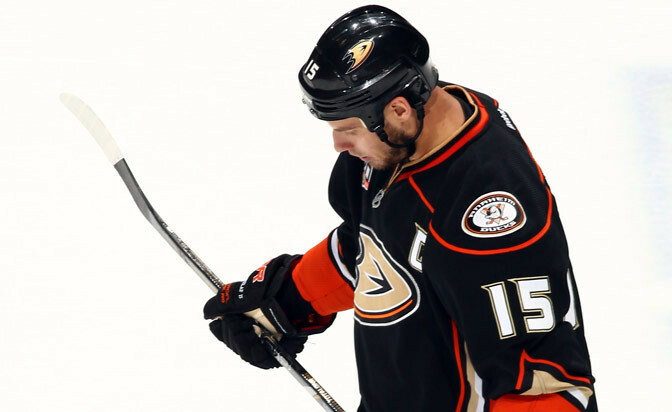 For one thing, Ryan Getzlaf is now out with appendicitis, so it is possible he was playing through some severe discomfort. But what is even more relevant is the fact that Ducks’ head coach Bruce Boudreau entered the season with a faulty game plan. 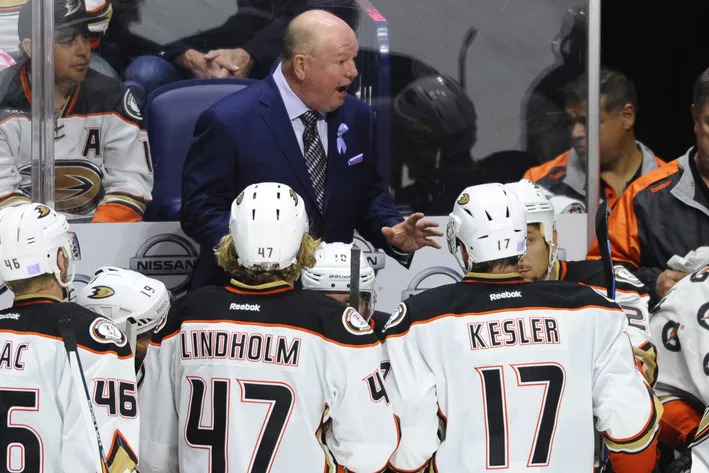 For some reason, Boudreau decided that the Ducks should spread their talent across three lines to make it harder on opposing teams to match up against Anaheim’s top stars, namely Getzlaf, Perry and Kesler. Therefore, Boudreau started the season with each player on a separate line. However, this strategy proved to be ineffective very early on in the season. Unfortunately, Boudreau didn’t address the problem, which largely contributed to the Ducks’ miserable start. In the most recent game Boudreau put Kesler and Perry on the same line (along with Carl Hagelin), but it took way too long for Boudreau to make lineup adjustments. Surprisingly it seems as though Boudreau’s job is not in jeopardy because management has great confidence in him. However, it begs the question: why would a coach completely change the strategy of one of the most successful regular-season teams in the league? 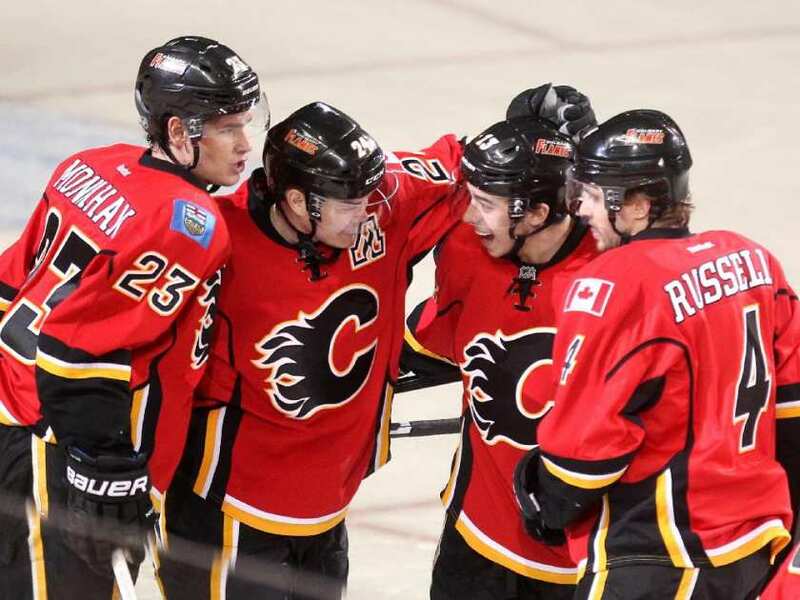 Finally, the Calgary Flames’ early struggles have also been a surprise to many. 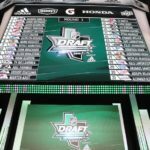 The Flames were expected to be one of the most exciting teams, with one of the best blue lines in the league and a ton of young, talented players. However, through 11 games, the Flames are 2-8-1. The Flames have the worst goals for-goals against differential (-24) and have averaged only two goals per game. Getting Dougie Hamilton was one of the most significant offseason acquisitions, but he has struggled out of the gate. Not that plus/minus is a relevant or revealing statistic, but Hamilton is a minus-10 through 11 games. Perhaps one of the biggest surprises of the season so far was when the Flames waived goaltender Karri Ramo; Ramo was named the Flames’ starter at the beginning of the season but was waived after three poor starts. He has since been recalled because of an injury to Jonas Hiller. Claude Giroux scores the winning goal in a shootout against the Rangers. Only ten games have gone to a shootout; only 13 teams have participated in a shootout this season. The Ottawa Senators have played in more shootouts (4) than any team in the league; Ottawa is 2-2 in those four shootouts. The Calgary Flames have allowed four or more goals in eight of eleven games this year (most in the NHL). The Boston Bruins have the best power-play in the league, operating at 35.5 percent. The Pittsburgh Penguins have the second worst power-play in the league, operating at 9.4 percent. 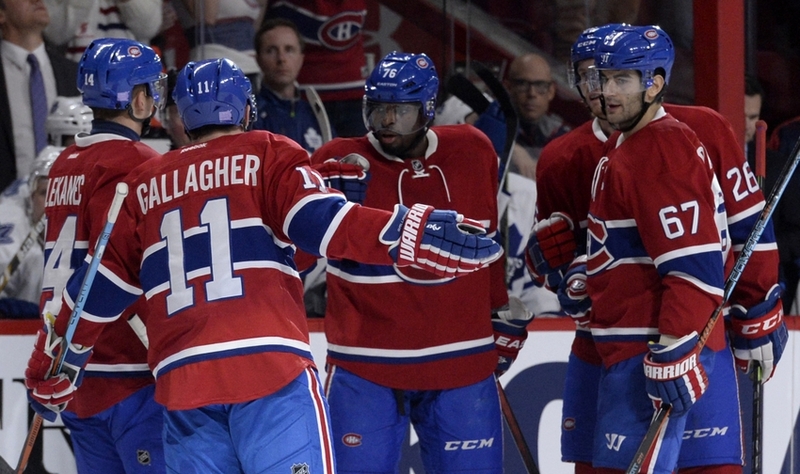 The Minnesota Wild and Montreal Canadiens are the only teams that are undefeated at home. There are three teams with undefeated records on the road: the Boston Bruins (4-0-0), the Washington Capitals (3-0-0) and the Los Angeles Kings (3-0-0). The New Jersey Devils are in fourth place in the Metropolitan Division with 13 points. 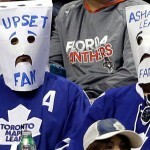 The three worst teams in the league are the Toronto Maple Leafs, Columbus Blue Jackets and Anaheim Ducks. The Dallas Stars are the top team in the fiercely-competitive Central Division with 18 points. Central Division teams have a combined 17-3-1 record (.833) vs. Pacific Division Teams this season. If the postseason started today, the Chicago Blackhawks would miss the playoffs. 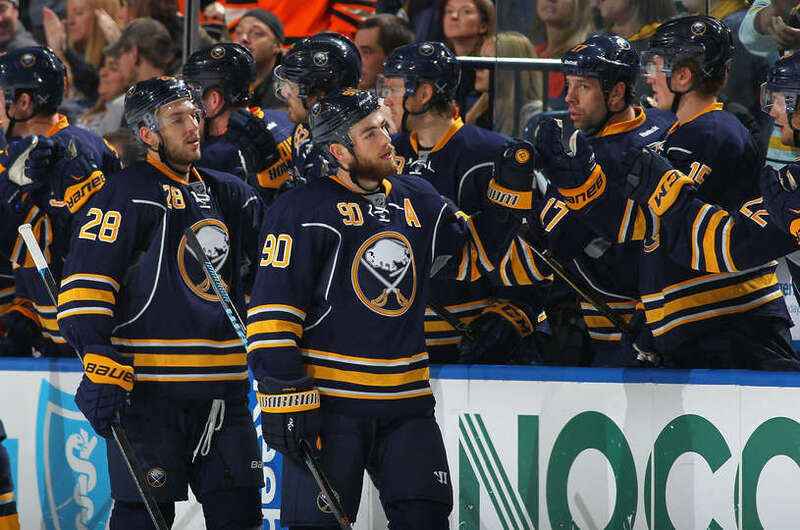 Ryan O’Reilly celebrates a goal against the Philadelphia Flyers on Oct. 30. Jamie Benn leads the league in points (17) and goals (9). 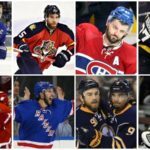 Ryan O’Reilly has the most power-play points in the league (now tied with David Krejci with 7); he is fifth in the league in points. Carey Price is not in the top 10 for goals-against average (2.01) and is eighth in the league in save percentage (.936) among goalies who have played at least four games. Price is tied with Devan Dubnyk for most wins (7). Michael Hutchinson has the best goals-against average (.949) among goalies who have started in at least four games this season. Rookie Colton Parayko is tied for tenth in points among defensemen (10); he and Justin Faulk are tied for first in goals among defensemen (4). Rick Nash has one goal. The goal that he “scored” was an automatic goal after he was interfered with en route to shooting the puck into an empty net. Nash, who had 42 goals last season, has been unable to actually put the puck in the net this year. Johnny Gaudreau leads the league in assists with 11. Connor McDavid is tied for sixth in points (12). Sidney Crosby is tied for 140th in points (5) with one goal and four assists; he had 15 points at this time last year. Jakub Voracek has no goals and only three assists through ten games played; he had 15 points at this time last year.